We made it back from our amazing trip in Peru! It was an incredible adventure filled with lots of history, culture, wild animals, jungle walks, hikes, tiny towns, big cities, and a few amazing new friends. I do have some upcoming posts to share much more about our journey in Peru, so stay tuned for those posts to come! For now, I wanted to give you some tips on transitioning back to real life after a vacation and fill you in on how I motivated myself to start to return myself to an exercise routine after being gone on vacation. We’re Heading to a New Continent! The time has finally arrived…we are off to Peru! We have been planning this trip to Peru since November and can’t believe we are leaving. We are so excited to be going on this amazing adventure especially since we have never been to South America before! Wow…what a week for us! We have been running around like chickens with our heads cut off trying to fix up a few things at the house, but at least we are making progress. The house is finally getting to where it needs to be and we have almost completely settled back in. 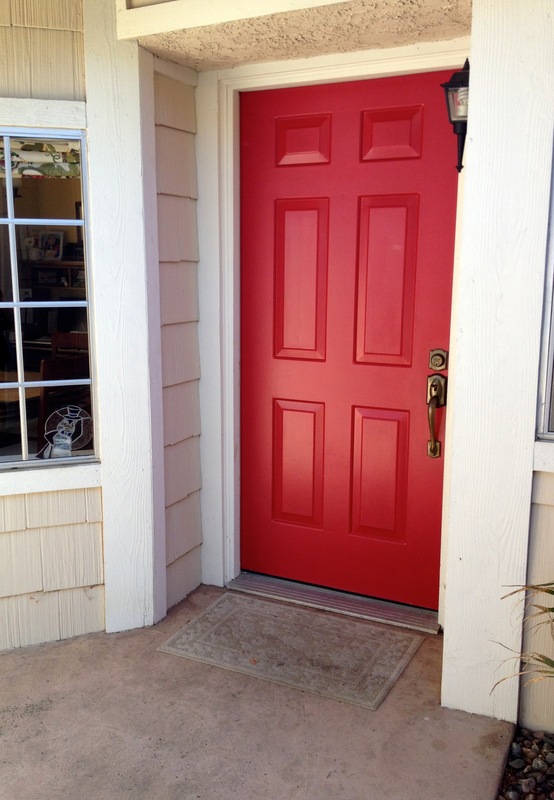 One good thing that has come out of all of this hard work is that I finally got my red front door! Very excited about this…it looks so great when you walk up to our house. We have just a few more things to finish up before our big trip and then we can relax and enjoy our upcoming adventure!